Bobs are a classic cut that never goes out of style. These cropped cuts are stylish, youthful, and flattering for virtually all face shapes, hair types, and women of all ages. When it comes to hair, bobs are basically the best of both worlds. 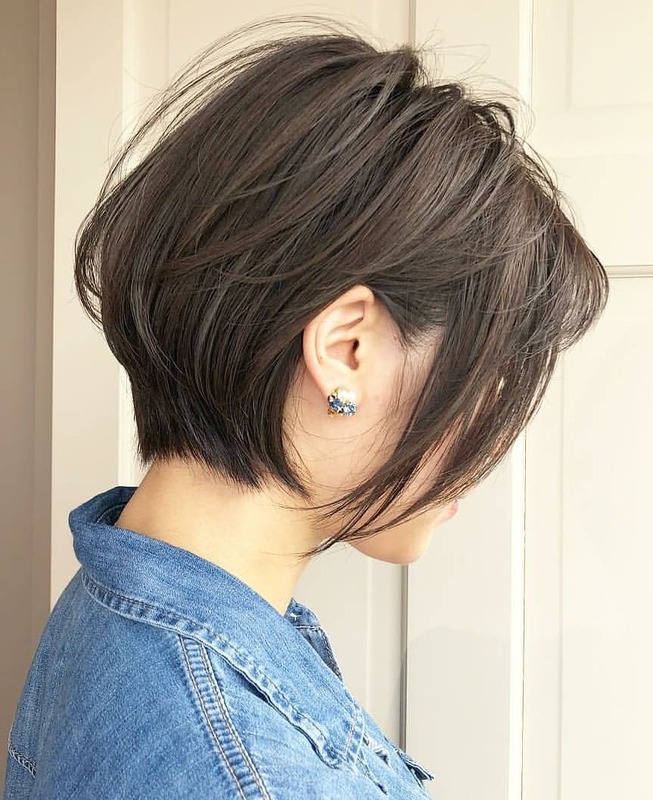 They’re fresher and more eye-catching than most basic long styles, and they’re easier to manage and maintain than super short cuts. 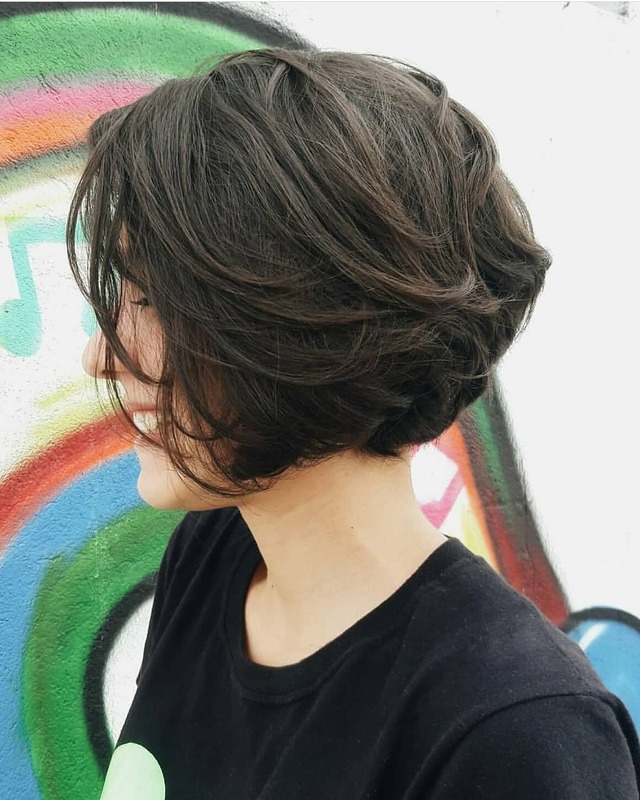 If you want to try out a shorter cut without looking too traditional, try a cut that puts a contemporary twist on the classic bob style. 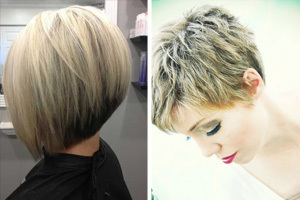 These short bob haircuts are all trendy, ultra-modern, and refreshingly easy to manage. This trendy, no-nonsense bob is the perfect cropped style for women with thin and fine hair types. Its short back layers add dimension to this cut, and its longer, piece-y front layers frame your face and flatter your features. 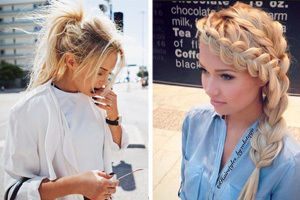 This style is very easy to manage. 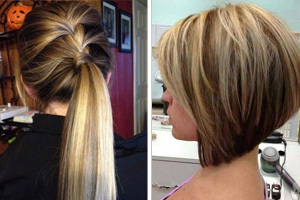 Its super short layers in the back minimize the amount of styling you need to do. If you have naturally straight hair, you won’t even have to pick up your blow dryer or flat iron. The medium length of this bob falls right in between your chin and your shoulders to flatter virtually any face shape. 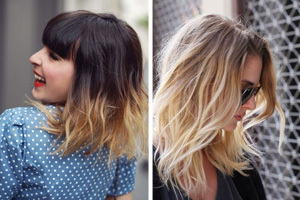 Its deep side part is bold and gives this style an effortlessly messy-on-purpose finish. 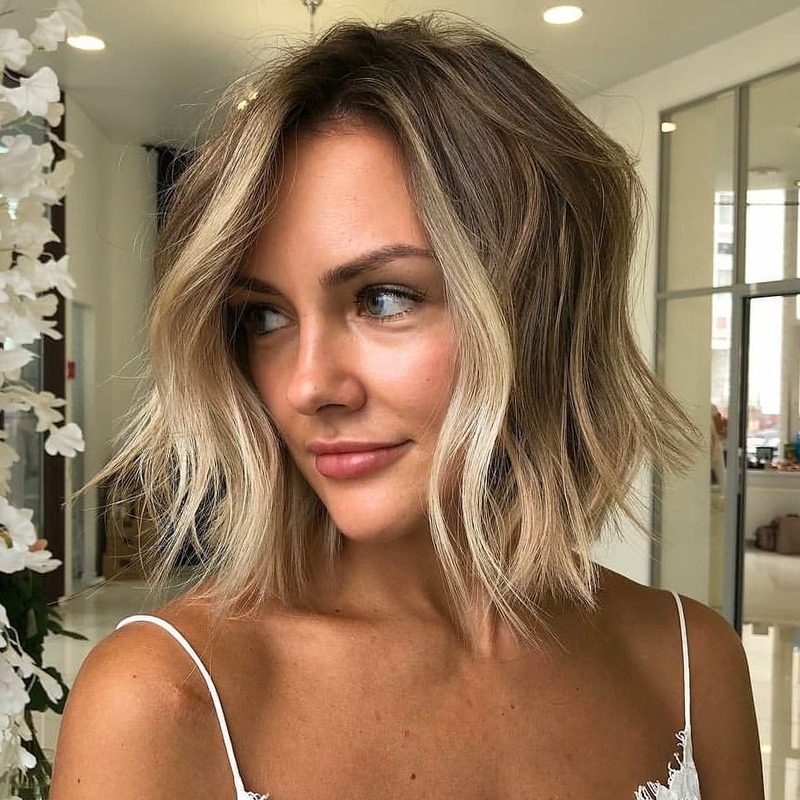 Several inches of shadowed roots that gradually fade into a brighter blonde gives this bob an effortless finish that brightens up your features without looking too unnatural. A-line bobs are a classic style that can be somewhat difficult to pull off, especially for women with thick hair. 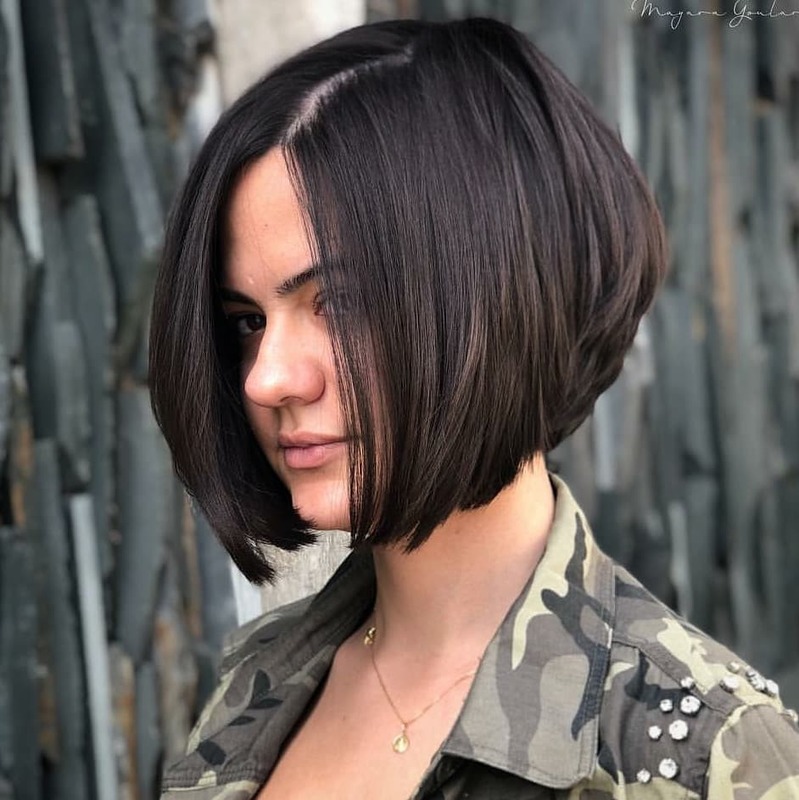 This bob’s middle part and multitude of layers create a smooth, sleek look that accommodates thicker hair types without looking frizzy or bulky. Blondes have more fun–especially with this flirty chin length bob. 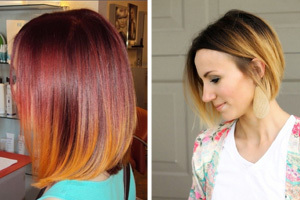 The bright bleached color of this bob gives it a cheerful finish. 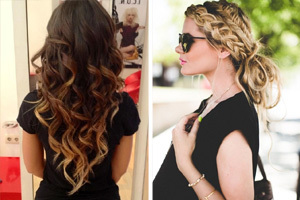 Its effortlessly tousled wavy style and piece-y front layers create a relaxed, carefree look. Plus, this bob is super easy to style. If you have naturally straight or wavy hair, just use a texturizing spray to give your hair that coveted messy-on-purpose finish. This short wavy bob is an excellent choice for women with thick hair. 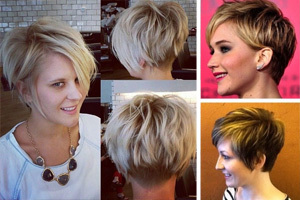 It can be difficult to find a short hairstyle that accommodates thick, course hair types. These hair types can create frizz and be very difficult to manage when cut short. The intentional thick layers and layered, rounded ends of this bob tame thick hair. You can style this bob easily with a round brush and blowdryer for a sleek look. When you have the time, you can even air-dry it for a wavy, all-natural finish. 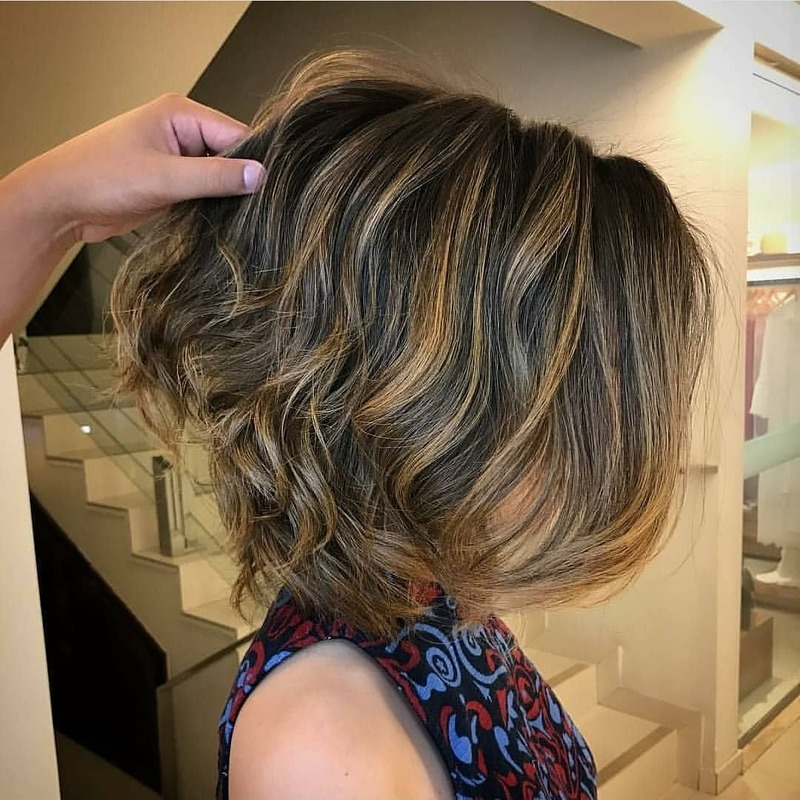 Subtle balayage adds interest and dimension to this trendy medium length bob. Strategically placed honey blonde highlights brighten up its dark brown color. This bob is an ideal style for brunettes with naturally curly hair. Blunt ends give this cut an elegant finish that doesn’t require much styling to eliminate frizz and create a tame, sleek look. This medium length bob is ultimate goals for short wavy cuts that don’t look frizzy or messy. Soft, relaxed beauty waves give this cut a sleek and elegant finish. 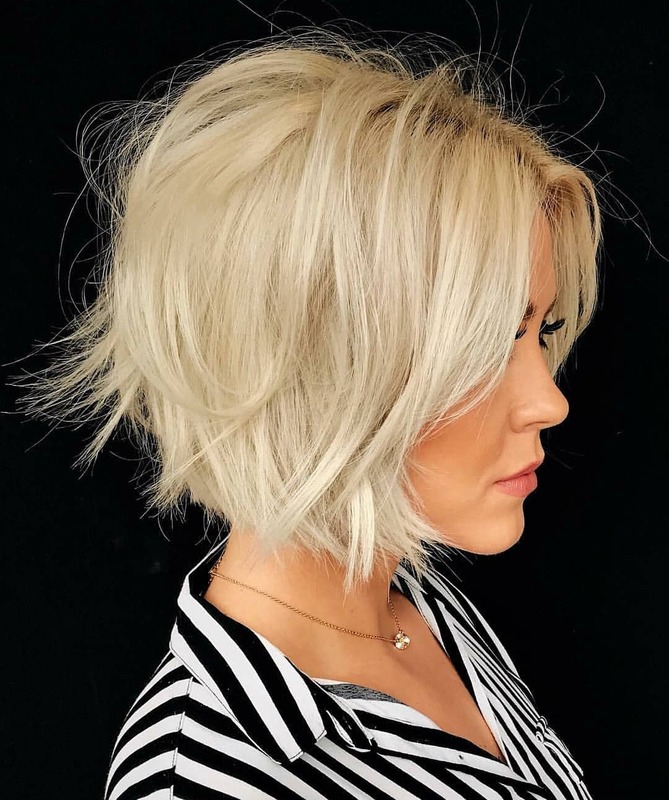 Cool-toned shadow roots that fade into a bright, cheerful bleached blonde color give this style a carefree finish that flatters any face shape and any outfit. This straight layered bob is ideal for women with thin and fine hair types. Thin hair can make some bobs fall flat, but this cut effortlessly accommodates finer hair without losing its volume. 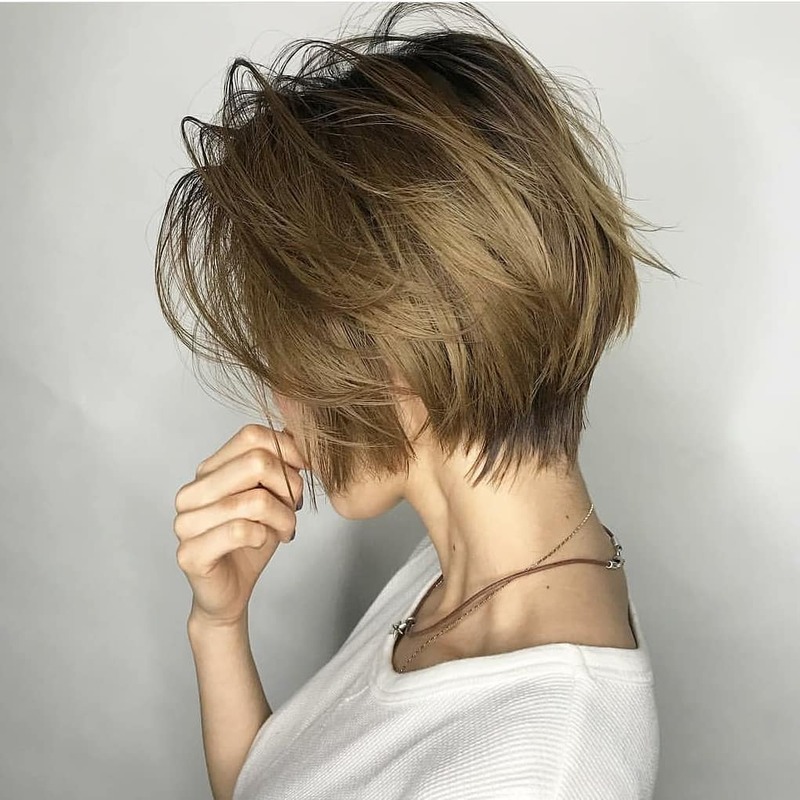 The multiple cropped layers of this cut offer the illusion of thicker hair and allow you to achieve a high-volume, tousled finish without much styling time. Don’t worry about frying your fine hair with heated styling tools. Just spritz your hair with some texturizing spray and call it a day. Your bob doesn’t have to be pin straight to accommodate bangs. This wavy bob style is far from tamed with its tousled bangs and curled-out ends. However, this style still looks super cute with bangs. The trick to keeping your wavy banged bob balanced is getting longer, piece-y bangs that aren’t too blunt. 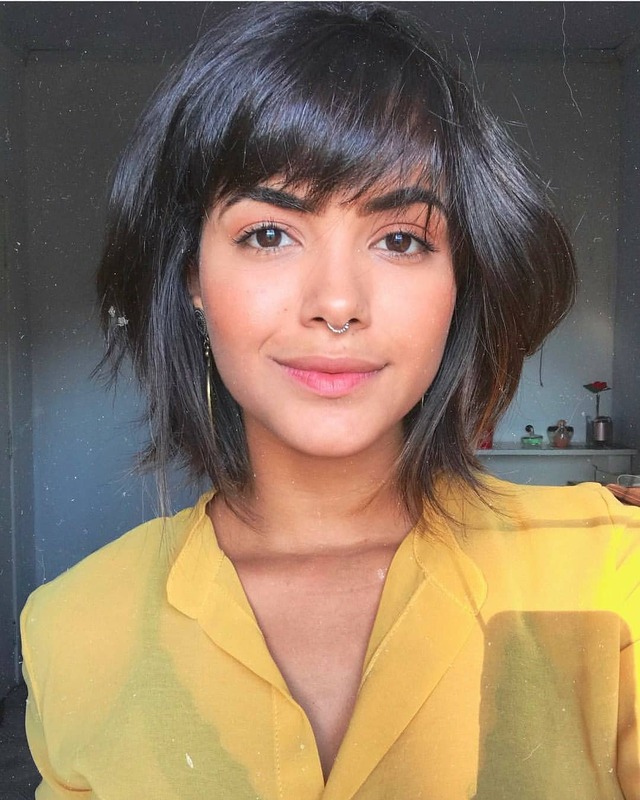 This cute and easy bob style shows that getting a cropped cut doesn’t mean cutting off all your optionsEven if you have a bob without much length–like this cut that measures an inch or two below your chin–you can still pull your hair out of your face. On days when you don’t have time to style your bob, let your hair air dry and twist your top layers up into a casual knot at the back of your head for a flirty and fashionable finish.